Tagged under Capcom, Games, Series. No matter who you are and how much you dislike the Street Fighter series, you just have to give credit where credit's due...and 3rd Strike truly deserves it. It's sad that the game was completely overlooked by many and even worse, the fact that there's many people that never even knew the game existed. The gameplay is absolutely packed with depth and complexity, but not so much as to be unplayable or unenjoyable. It requires skill and you definitely can't button mash in this game and expect to do some damage. It's a thinking man's game, the kind where everyone wins by playing mind games and you can feel the heat when your opponent closes in on you. Unlike most video game to anime transitions, Street Fighter adaptations tend to hold up well. While I've seen them all, the only one I actually own is the Street Fighter II V TV series, which is most fun in that characters' names change based on whether you choose the Subtitle or Dub track (they rearranged the boss names for the US release of the games, and kept it ever since). The only other one I may get is the original Street Fighter II Animated Movie. The others didn't impress me that much. I'am a big fan of Street Fighter videogames. 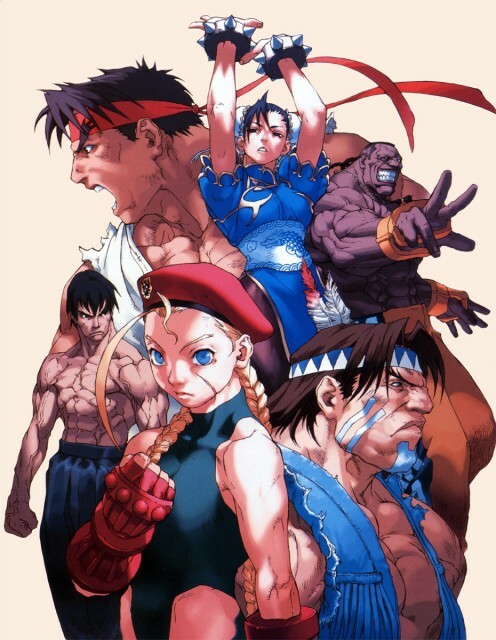 As for the anime i loved Street Fighter II: The Movie its COOL it is the best Sreet Fighter anime of all time and I say fans and non-fans alike of either the Street Fighter games or anime in general should and must give this a shot.